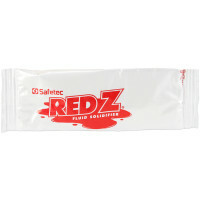 The Safetec SaniZide™ Environmental Germicidal Surface Pump Spray, 4 oz. Sanizide™ Plus environmental surface germicidal solution, 4 oz. plastic bottle w/ pump spray, 1 ea. Use our one step, ready-to-use (alcohol free) germicidal solution by SaniZide™ Plus in critical care areas where controlling cross-contamination is vital. 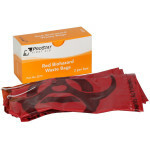 Proven effective against a wide variety of bacterial and viral pathogens including Staph, Salmonella, Herpes Simplex Type II and the human immuno-deficiency virus Type I (HIV-1) associated with AIDS all in under ten minutes. Ready-to-use, hospital grade, hard surface disinfectant/deodorizer. Our quatemary ammonium, alcohol free formulation is non-flammable making SaniZide Plus safe to ship, as well as non-corrosive. SaniZide Plus helps you comply with the OSHA Bloodborne Pathogens Standard, which requires the use of an "appropriate disinfectant" that is tuberculocidal and virucidal against HIV-1 and HBV. Active Ingredients: n-Alkyl Dimethyl Ethybenzyl Ammonium Chloride, n-Alkyl Dimethyl Benzyl Ammonium Chloride, Isopropyl Alcohol. The Safetec SaniZide™ Environmental Germicidal Surface Pump Spray, 4 oz.. 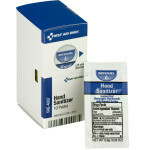 This Item: The Safetec SaniZide™ Environmental Germicidal Surface Pump Spray, 4 oz.